The Ivy League is used to refer to eight schools as a group. The eight schools are are Brown University, Columbia University, Cornell University, Dartmouth College, Harvard University, Princeton University, the University of Pennsylvania, and Yale University. The schools are all private institutions and located in Northeastern US. We analyze 2013 tuition of the eight member of Ivy League. It may be helpful to who wants to be a member of one of members of the Ivy League. 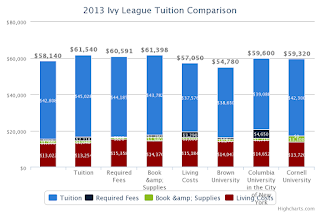 Following chart and table show the tuition comparison data between Ivy League members. 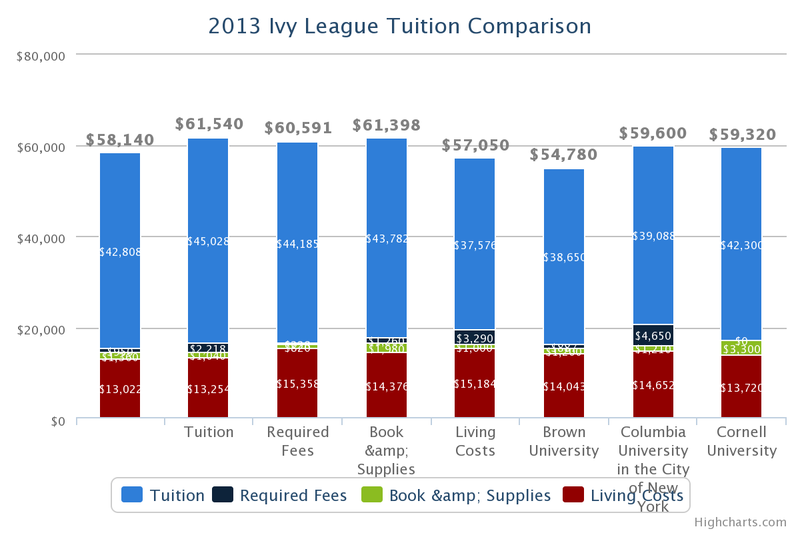 You can see full detail of comparison here - Ivy League Tuition Comparison. Also, All statistic comparison between ivy league schools is available.